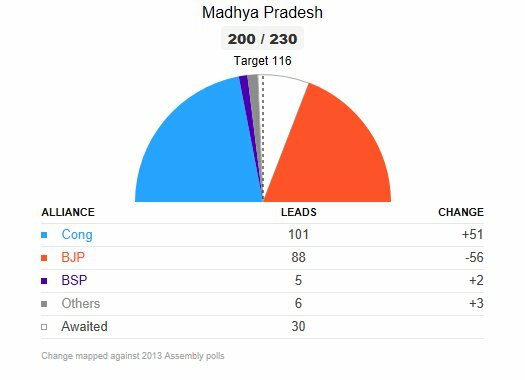 Madhya Pradesh Election Results: Some exit polls have given an edge to the Congress, while others have predicted a close finish for the grand old party and the ruling BJP. Madhya Pradesh Election Results: BJP and Congress are caught in a neck to neck fight in Madhya Pradesh. The counting of votes in Madhya Pradesh has concluded. Congress party has emerged the largest party in the state with 114 seats, which is two short of the majority. 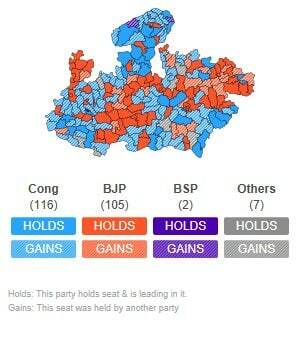 The BJP, which gave a close fight to the Congress despite anti-incumbency, has won 109 seats. Mayawati-led Bahujan Samaj Party or the BSP has won two seats. The BJP gave a close fight to the BJP despite a strong anti-incumbency against Chief Minister Shivraj Singh Chouhan, who was looking for a record fourth term. Sensing victory, the Congress has begun contacting leaders of small parties and also independents for mustering a simple majority, party sources said on Tuesday. Congress leaders have opened backchannel talks with the Bahujan Samaj Party (BSP), Samajwadi Party (SP), Gondwana Gantantra Party (GGP) and independents who are leading, the sources said. Kamal Nath, a master strategist, is taking no chances and has opened talks with Mayawati's BSP. 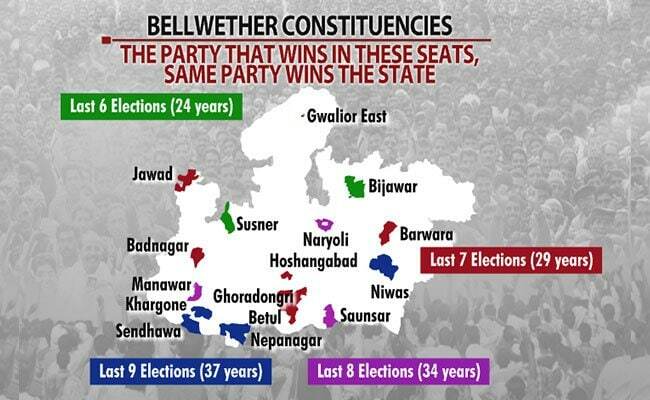 Mayawati's party is leading at two places while SP is ahead in two constituencies. Mayawati, who had snubbed the Congress before the polls and refused to tie-up in Madhya Pradesh and Chhattisgarh, is believed to have called her winning party lawmakers for a meeting in Delhi. Jyotiraditya Scindia tweeted congratulating the party workers for winning the polls in Chhattisgarh. 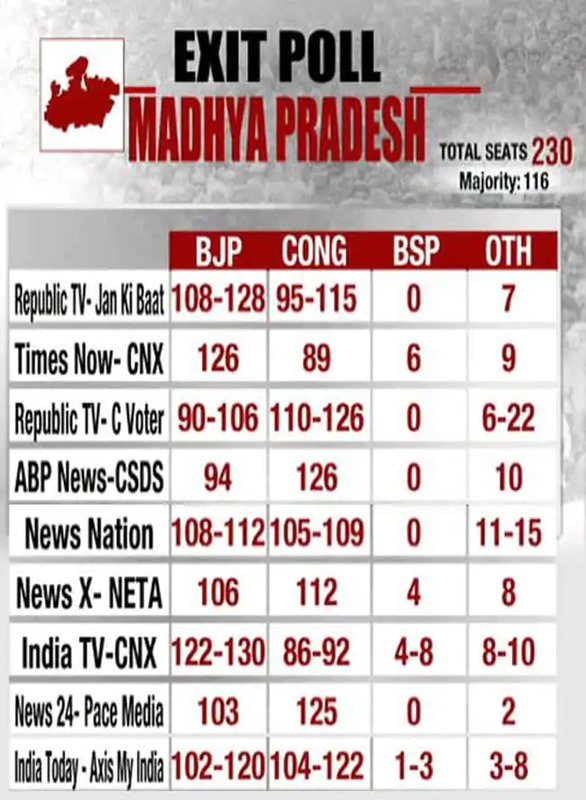 The results have yet to be declared in 11 seats in Madhya Pradesh. However at the minute-long press conference Kamal Nath declared that the Congress has already won in the state and they have written to the Governor to form government. They intend to meet Anandiben Patel, the governor soon. 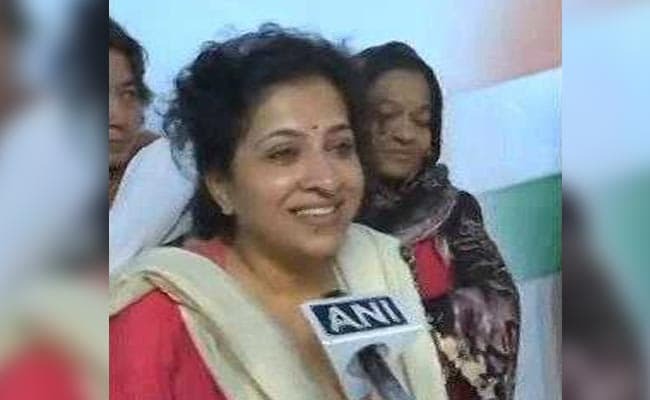 Congress leader Shobha Oza says Congress will win with an absolute majority even without help from Independents. "We have won 113 seats and we are leading with huge margins," she said. Kamal Nath announced that the Congress has got a clear majority in Madhya Pradesh. "A new history is to begin. We have written to Governor to seek an appointment to prove our majority in the state," he said. Congress press conference begins after Kamal Nath seeks appointment from governor to form government. Kamal Nath to speak shortly. 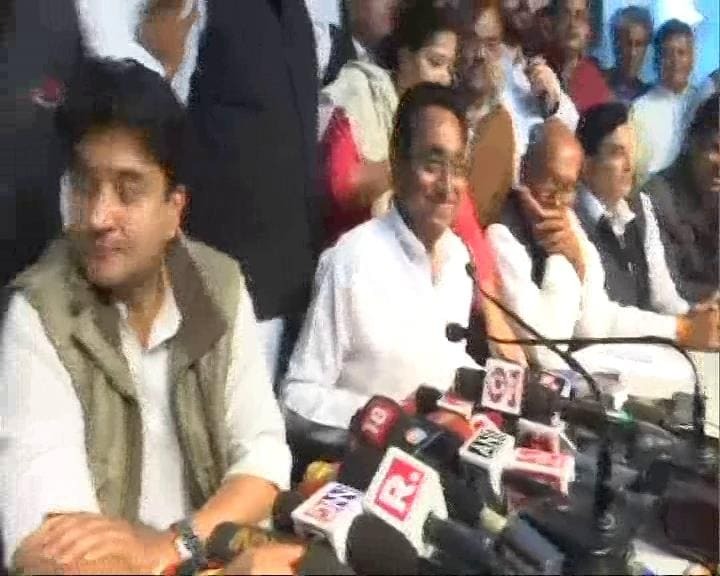 Jyotiraditya Scindia, Digvijaya Singh also present. News Flash: BJP has said they will also meet the Madhya Pradesh Governor tomorrow. 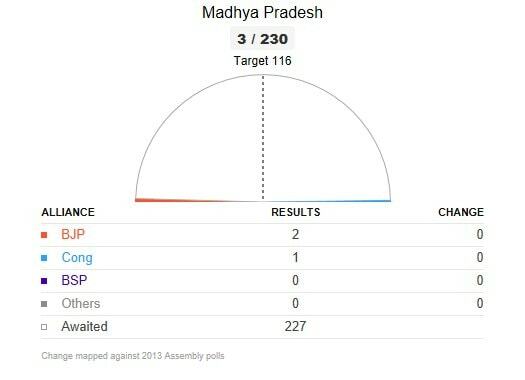 Breaking: Mayawati's BSP has won one seat in Madhya Pradesh. BREAKING: Congress says will go to Raj Bhavan immediately after results. Congress said will wait for official EC results. After results, the party will request meeting the governor. Anandiben Patel has said she will be happy to meet the Congress party leaders. Shivraj Singh Chouhan is attending a meeting with BJP leaders at his house. The Congress and BJP are still neck-to-neck in the state. The Madhya Pradesh Governor House has said that an appointment will be given only after the situation is made clear by the Election Commission. Jyotiraditya Scindia tweeted that once the final results are declared, senior leaders of Congress will meet Govenor Anandiben Patel to stake claim to form government. BREAKING: In Madhya Pradesh, the Congress is seeking an appointment to form government. 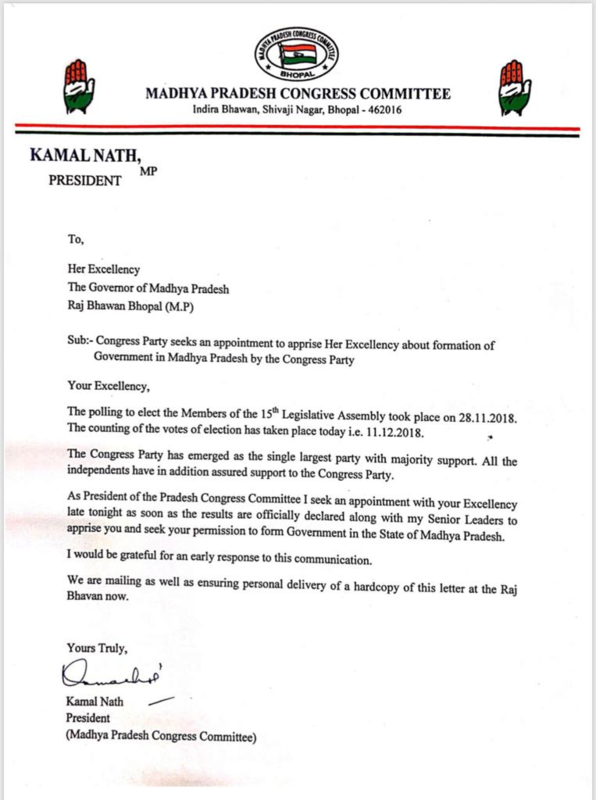 Kamal Nath wrote to governor Anandiben Patel today. The Congress called itself the "single largest party" and said all independents will support it. In Madhya Pradesh, the final jury is still out. We will wait for the last vote to be counted. 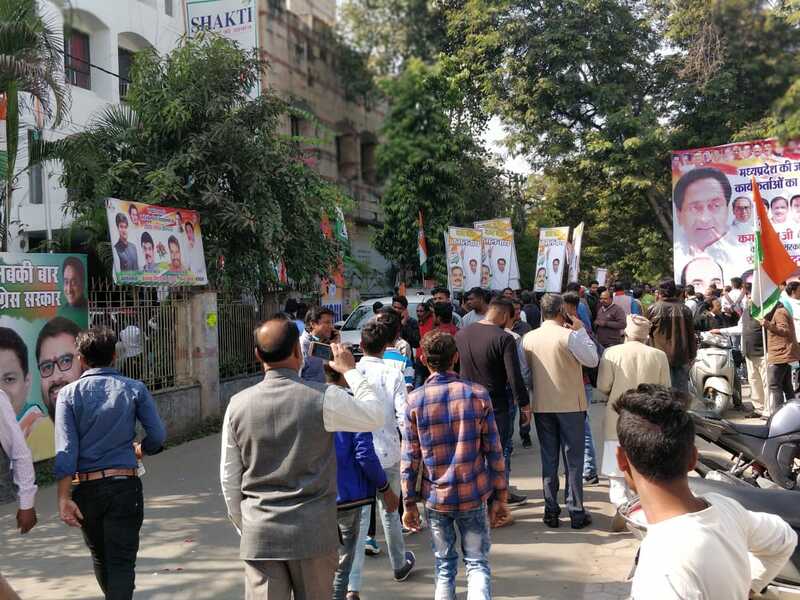 Congress supporters outside party office in Bhopal . Congress leaders AK Antony and Mallikarjun Kharge have been appointed as observers for Madhya Pradesh and Chhattisgarh, news agency ANI reports. 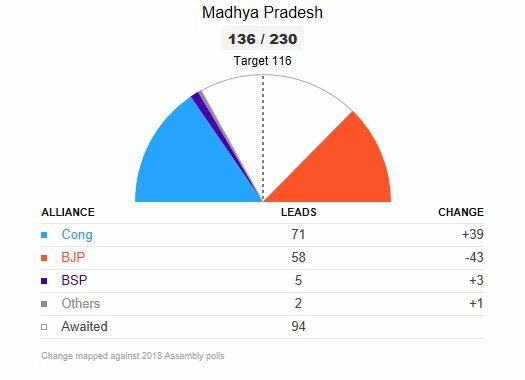 Madhya Pradesh is witnessing a close fight. The Congress is ahead in 114 seats, while the BJP is leading in 109 seats. 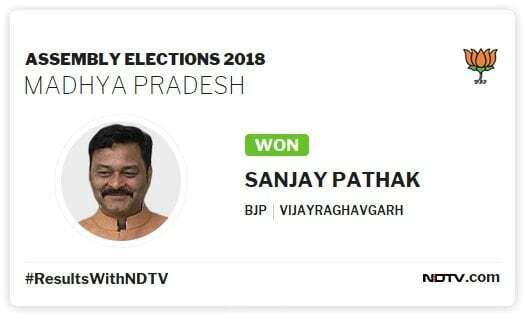 BJP candidate Sanjay Pathak wins Vijayraghavgarh. Congress ahead in 113 seats, BJP leads in 110 seats. BSP has won two seats. Several BJP leaders agreed demonetisation and GST hit its urban vote bank in Madhya Pradesh and other states. The results are swinging wildly between the two main parties. The Congress, which had surged ahead of the BJP, is now leading by just one seat. The Congress is ahead in 111 seats, one ahead of the BJP. In 15 seats, the difference of votes is less than 1,000 votes. Senior BSP leader Sudhindra Bhadoria has made it clear that his party will not forge an alliance with the BJP. "It is clear that people have voted against the BJP. The BJP has lost badly. We will do whatever it takes to ensure that BJP cant form a government in any of the states, he said. According to reports, the Congress has opened backchannel talks with the BSP to help it form the government in Madhya Pradesh. Assam's Gaurav Gogoi said the Congress is quite confident that the party will win in Madhya Pradesh. On being asked if the Congress could have done better, he said the party is satisfied and happy with the performance of workers and leaders and doesn't want to get diverted by PM Modi's rhetoric. On Mizoram loss, he says regional parties are gaining ground and it is not like the BJP won the state. After reaching the halfway mark, the Congress is down to 113 seats, five ahead of the BJP. The BSP is leading in two seats. Election Commission has announced a press conference at 7 pm. A victory in the state sets the Congress up for a leadership battle between its top 3 in the state -- Kamal Nath, Jyotiraditya Scindia and Digvijaya Singh. "Let the results come in. We are very confident. We are heading for a full majority, no doubt about it," said Kamal Nath, who was in charge of the party's campaign in the state. Mr Scindia was more circumspect. "Wait for the final results. We will form the government," he said, taking the mic. But Kamal Nath, a master strategist, is taking no chances and has opened talks with Mayawati's Bahujan Samaj Party (BSP), the Samajwadi Party, Gondwana Gantantra Party and independents. The party needs 115 to form the government. In the last one hour, Congress has managed to maintain a considerable lead, althought the margin has dropped. Election trends show BJP inching towards government formation. The party has won 116 seats, while the BJP is ahead in 105 seats. BSP is leading in two seats, as per trends. 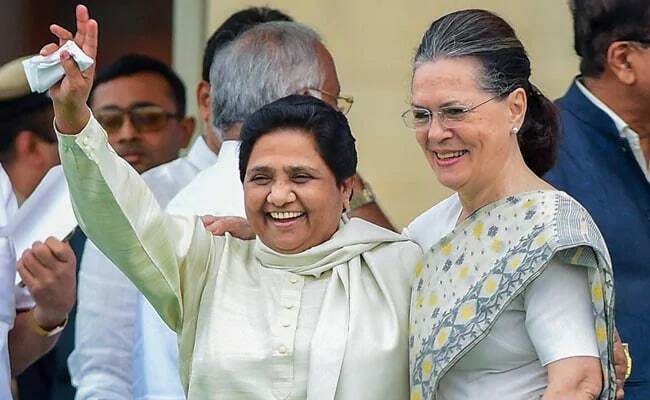 The Congress has approached Mayawati's Bahujan Samaj Party this afternoon as results indicated that Madhya Pradesh might be heading for the split verdict which several exit polls have predicted. Mayawati is believed to have called her leaders for a meeting in Delhi after senior Congress leader Kamal Nath contacted her, sources said. After a neck-and-neck fight with the BJP, the Congress is inching towards forming a government in Madhya Pradesh. Madhya Pradesh, where Shivraj Singh Chouhan is seeking a fourth term, is the biggest prize in these polls. If it wins, the Congress has to face the prickly issue of who will lead the government. Its three top leaders, Kamal Nath, Digvijaya Singh and Jyotiraditya Scindia, kept a truce for the campaign. 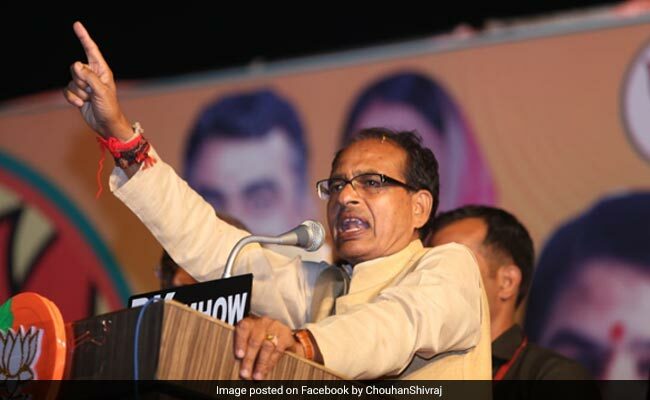 A dozen ministers in the Shivraj Singh Chouhan cabinet were trailing as per the latest trends, an election official said Tuesday. 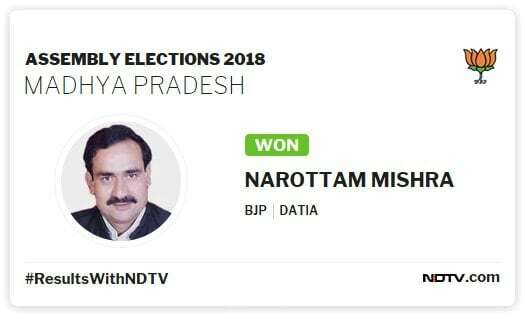 Minister Narottam Mishra was trailing by a margin of 6,200 votes in Datia while Rustam Singh was at the third position in Morena constituency. Balkrishna Patidar was trailing in Khargone by a margin of 3,792 votes, while Lal Singh Arya was lagging behind by 6,552 votes in Gohad seat in Bhind district. 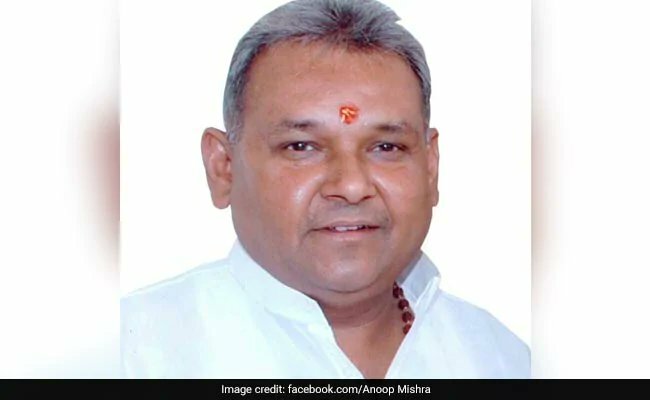 Minister Om Prakash Dhurve was trailing by a margin of 8,255 votes in Shahpura seat of Dindori district while Antar Singh Arya was trailing by 3,626 votes in Sendhwa seat of Barwani district. 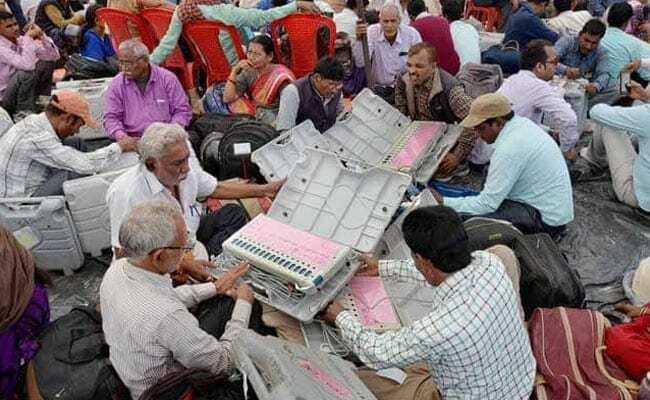 Deepak Joshi was behind by 3,070 votes in Hatpipliya seat in Dewas district, while Rampal Singh was trailing by 3,063 votes in Silvani seat in Raisen district, news agency PTI said. Minister Archana Chitnis was also trailing in Burhanpur seat by a margin of 1,055 votes. 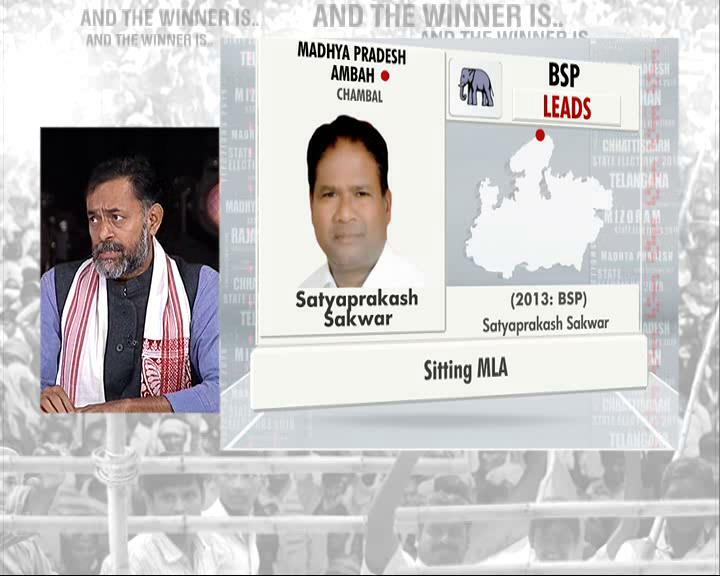 State finance minister Jayant Mallaiya was behind by 1,336 votes in Damoh seat. Former prime minister late Atal Bihari Vajpayee's nephew and Morena BJP MP Anoop Mishra, who contested the election on the BJP's ticket, was trailing from Bhitarwar seat in Gwalior district by 2,255 votes, an election official said. With election trends showing halfway mark for the Congress, the party has indicated that it has the support of three Independents. Party sources claimed that one legislator from the Gondwana Ganatantra Party has also assured support. 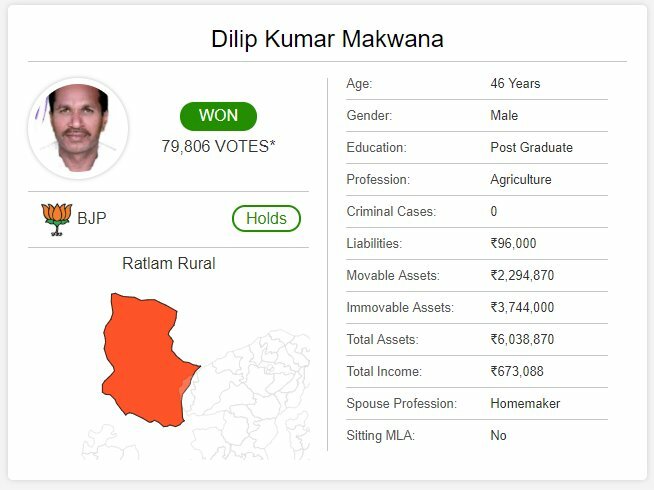 BJP candidate Dilip Kumar Makwana wins Ratlam Rural for the BJP. Mr Makwana won by a margin of over 79,000 votes for his party. Both Jyotiraditya Scindia and Kamal Nath have been at the forefront of the Congress campaign in Madhya Pradesh. As trends emerged, Mr Scindia expressed confidence about Congress victory, but was guarded in reactions on the tricky issue of chief minister's post. Madhya Pradesh is first state to have sent transgender candidate to Assembly when Shabnam Mausi won Suhagpur in 1998. 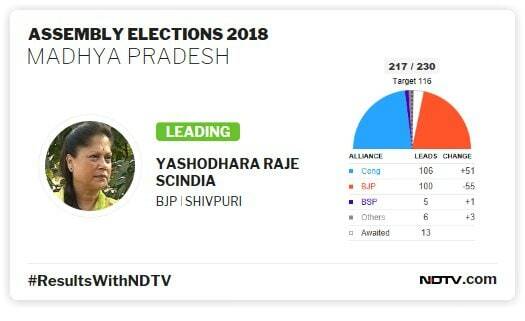 The BJP's Yashodhara Raje said she was "very hopeful" about a BJP victory in Madhya Pradesh as the leads see-sawed between the party and challenger Congress." Chief Minister Shivraj Singh Chouhan, she said, was very confident of winning and it would be "remarkable" if the BJP formed government in the state for a fourth time. It's even-steven in MP & from what I hear the BJP hasn't given up the hope of forming a government there. "Others" in Madhya Pradesh will be a happy lot at the moment. 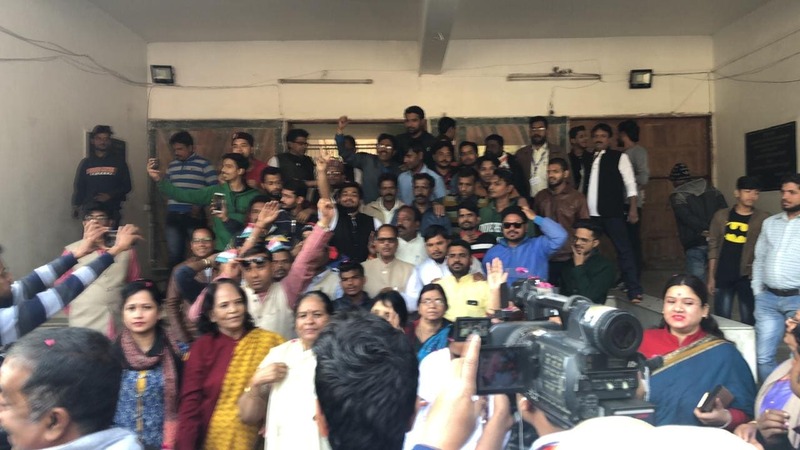 As initial trends showed Congress leading in Madhya Pradesh assembly elections, Jyotiraditya Scindia said the party will work for the development of the state if they win, even as he remained evasive on the question of chief ministership. "We will create an environment of peace, justice, and development if we come in power in Madhya Pradesh," Mr Scindia was qupoted by news agency ANI. BJP is leading in 112 seats, Congress in 108 seats, BSP in four, according to Election Commission trends. Congress leader Shama Mohamed said that the party has performed well in BJP strongholds in Madhya Pradesh. "In Madhya Pradesh, we have done well. We have gained in many BJP strongholds. But in the end jo jeeta wahi sikander. I am still confident we will form the government in Chhattisgarh, Rajasthan and Madhya Pradesh," she said. 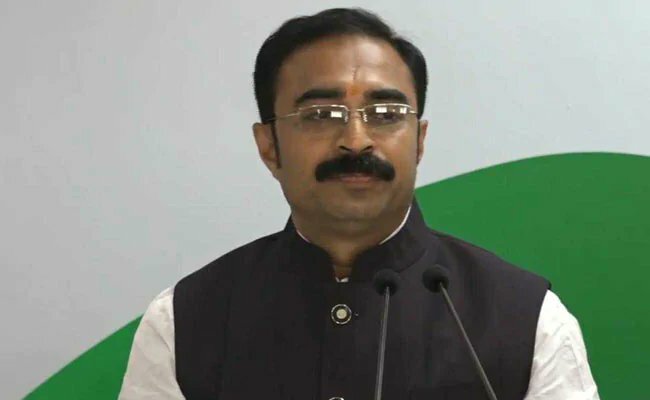 Chief Minister Shivraj Singh Chouhan's brother-in-law and Congress candidate Sanjay Singh Masani is in the third place in Waraseoni assembly constituency in Balaghat district where counting is in progress. Mr Masani had defected from the BJP to Congress before the polls. BJP's candidate Yogendra Nirmal is leading the constituency with Independent Pradeep Jaiswal in the second position. BSP chief Mayawati has summoned winning candidates to Delhi, party sources told NDTV. They also said that the Congress is holding backchannel talks with the BSP to discuss the possibility of an alliance in case of a hung assembly. Sitting BJP MLA Yashpal Singh Sisodiya is leading in Mandsaur, referred to as the epicentre of the farmers' agitation in the state. He is being challenged by Congress' Narendra Nahata in the constituency. 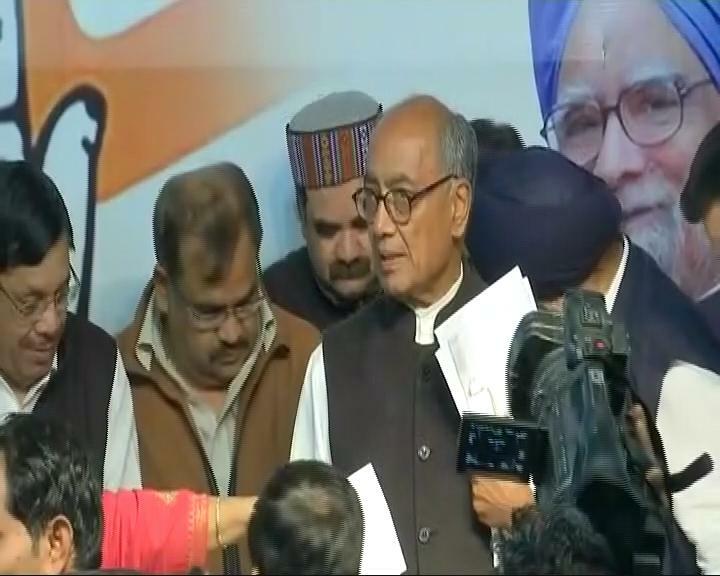 Digvijaya Singh has expressed confidence that the Congress party will form the government in the state. "It's too early. Anything can be said only after 12 pm. Leads of only postal ballots have come till now. I am confident that in Madhya Pradesh, Congress will form government," Mr Singh said. Mr Singh served as the chief minister of Madhya Pradesh for two terms from 1993 to 2003. BJP's Shaina NC says even after 15 years to have a neck-to-neck competition is a huge victory for a prime minister and Shivraj Singh Chouhan in Madhya Pradesh. Ms Shaina also says these results will not hamper the Lok Sabha polls next year as people want a dedicated and hardworking PM for which PM Modi fits the bill. She says BJP's presence in 19-20 states is itself a great victory and people irrespective of caste and religion have voted for the BJP. Election trends show the BJP ahead in 114 seats, Congress is leading in 106 seats. 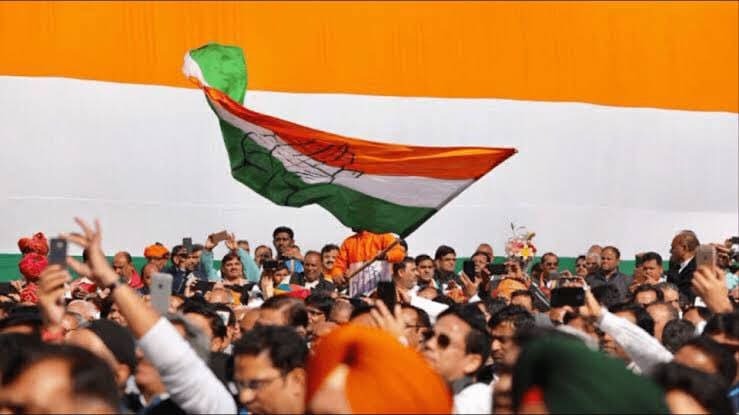 Though not a single winner was announced by the Election Commission, Congress supporters had already started celebrating with songs, slogans, crackers and sweets even as the trends kept swinging in the state. 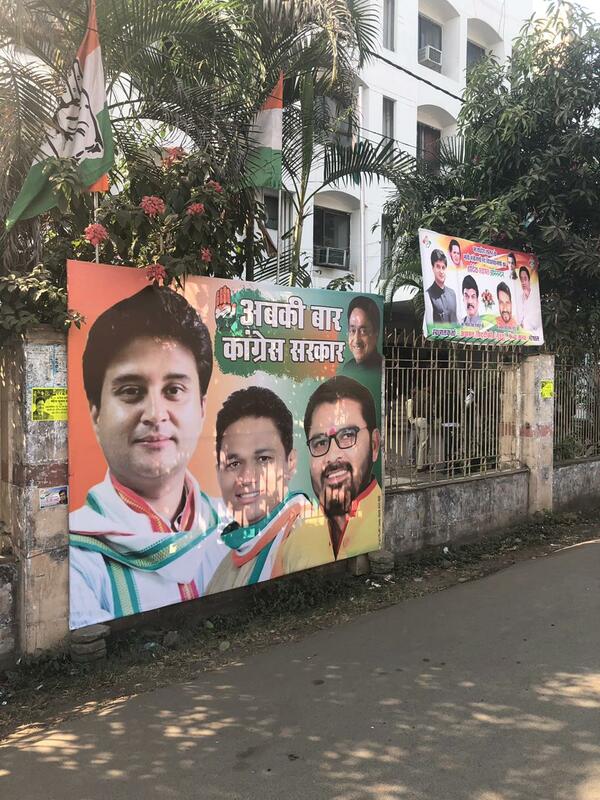 Posters of Jyotiraditya Scindia and Kamal Nath were displayed prominently outside the party office in Bhopal. Results for assembly elections in Madhya Pradesh is being announced with Rajasthan, Telangana, Chhattisgarh and Mizoram. Madhya Pradesh is turning out to be a nail-biter for both BJP and Congress. Current trends show the BJP leading in 110 seats, while the Congress is ahead in 109 seats. 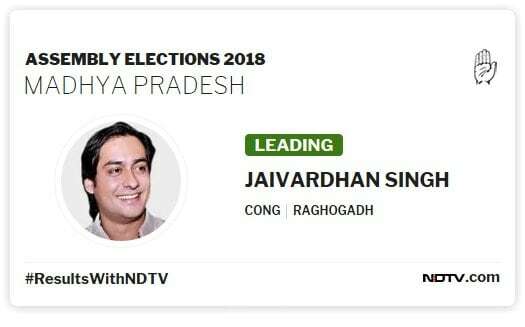 Digivijaya Singh's son Jaivardhan Singh is leading by 15,000 votes in family's bastion Raghogarh, NDTV's Amitoj Singh reports. 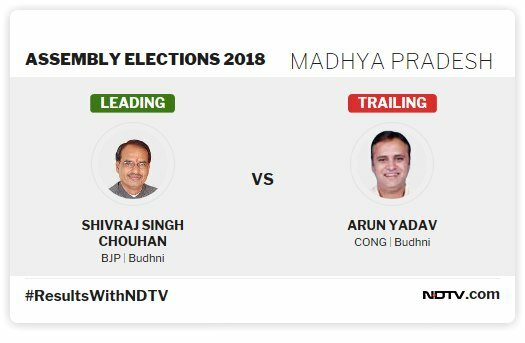 Shivraj Chouhan, 59, is three-term Madhya Pradesh Chief Minister is facing Congress candidate Arun Yadav in his Assembly constituency of Budhni. 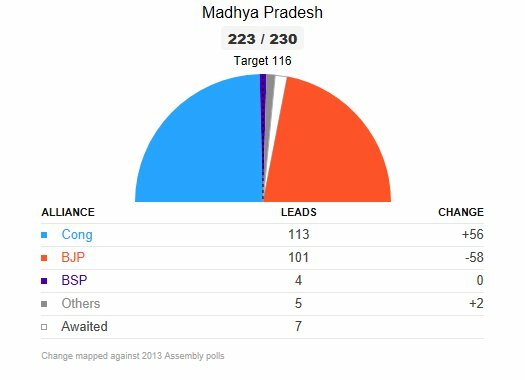 With trends indicating a close fight in Madhya Pradesh, both the BJP and the Congress have opened up backchannel talks to help form government in case of a hung assembly. Senior Congress leader Kamal Nath is in talks with Mayawati's BSP, which is leading in five seats. Meanwhile, Digvijaya Singh is also in talks with party rebels, who are contesting as Independents, NDTV's Anurag Dwary reports. The BJP has opened up backchannel talks with Ramkrishna Kusmaria, who quit the party to contest as Independent. 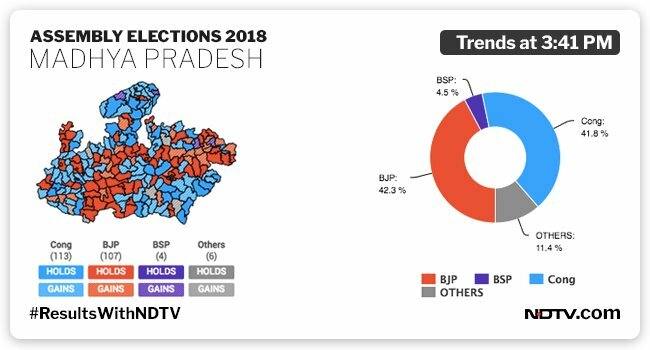 Election trends at 01:04 PM show the BJP leading in 112 seats, while the Congress is ahead in 108 seats. Nine ministers in the Shivraj Singh Chouhan are trailing as per the latest trends. 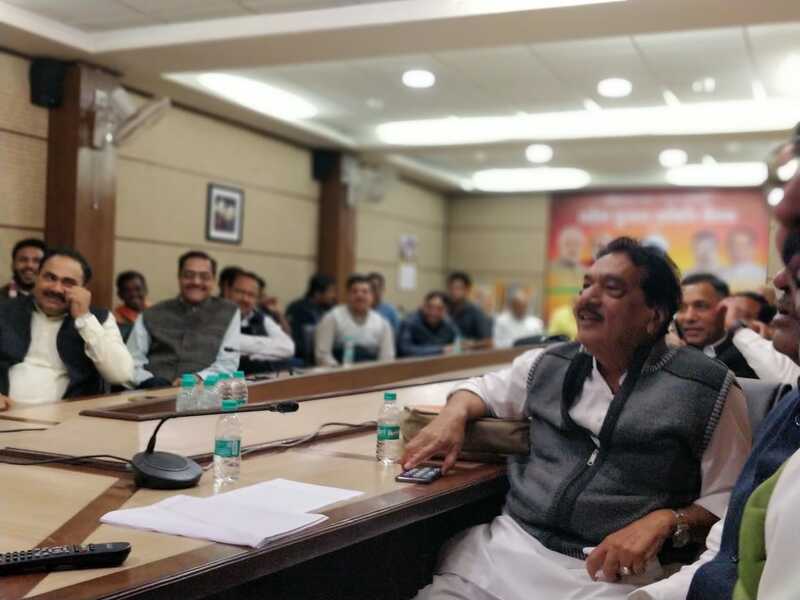 State minister Narottam Mishra was trailing by a margin of 3,114 votes from Datia seat while Rustam Singh was at the third position in Morena constituency, news agency PTI said. Besides, Balkrishna Patidar was trailing in Khargone by a margin of 44 votes, while Lal Singh Arya was lagging behind by a margin 3,039 votes from Gohad seat in Bhind district. Minister Om Prakash Dhurve was at the third place in Shahpura seat of Dindori district while Antar Singh Arya was trailing by 3,626 votes in Sendhwa seat in Barwani district. Minister Deepak Joshi was behind by 4,219 votes in Hatpipliya seat in Dewas district, while Vijay Shah was also trailing by a margin of 1,304 votes in Harsud seat in Khandwa. Minister Rampal Singh was trailing by 1,193 votes in Silvani seat in Raisen district. Former prime minister late Atal Bihari Vajpayee's nephew Anoop Mishra, who contested the election on the BJP's ticket, was trailing from Bhitarwar seat in Gwalior district by 502 votes, an election official said. 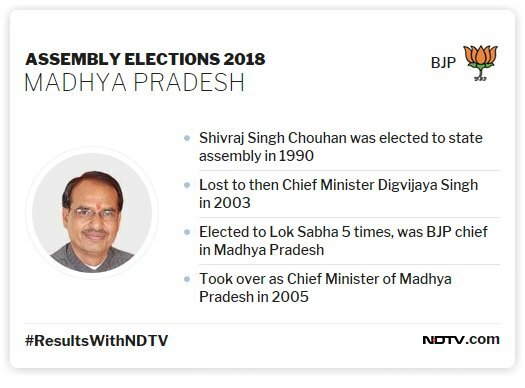 #ResultsWithNDTV | Important meeting of BJP leaders is on at Madhya Pradesh Chief Minister @ChouhanShivraj's residence. BJP leaders arrive at Chief Minister Shivraj Singh Chouhan's residence. There has been a four per cent increase in number of voters in Madhya Pradesh. In his campaigns, Shivraj Chouhan has given much more prominence to women voters, appealing them to come and vote, says Sagarika Ghose. This could have led to an increase in women participation in the election, she says. Shivraj Singh Chouhan has managed to connect with the voters despite his name being embroiled in corruption scams, says Sagarika Ghose. After trailing behind Congress, the BJP has now managed to surge ahead with a lead in 112 seats, as per trends. The Congress is leading in 107 seats; Mayawati's BSP is leading in five seats. Given the importance of Madhya Pradesh, the prime minister addressed 10 public meetings and BJP president Amit Shah held 26 public meetings and three road shows. Rahul Gandhi addressed 22 public rallies and took out a dozen road shows. One of the prominent constituencies is Budhni, where Chief Minister Shivraj Singh Chouhan, in office since 2005, is seeking re-election. For the Congress, a victory in the state would set the stage for a leadership battle between its top 3 in the state - Kamal Nath, Jyotiraditya Scindia and Digvijaya Singh. Jyotiraditya Scindia has reached Kamal Nath's residence in Madhya Pradesh. The two leaders have emerged as the top names for chief minister's post. 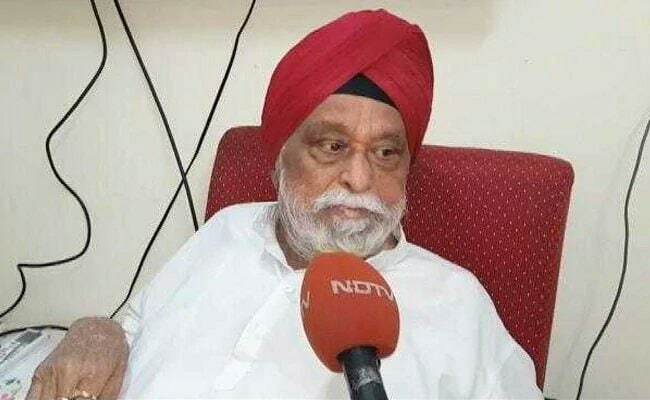 Former union minister Sartaj Singh, who joined Congress after BJP denied him a ticket, is contesting against assembly speaker Sitasharan Sharma in Hoshangabad. 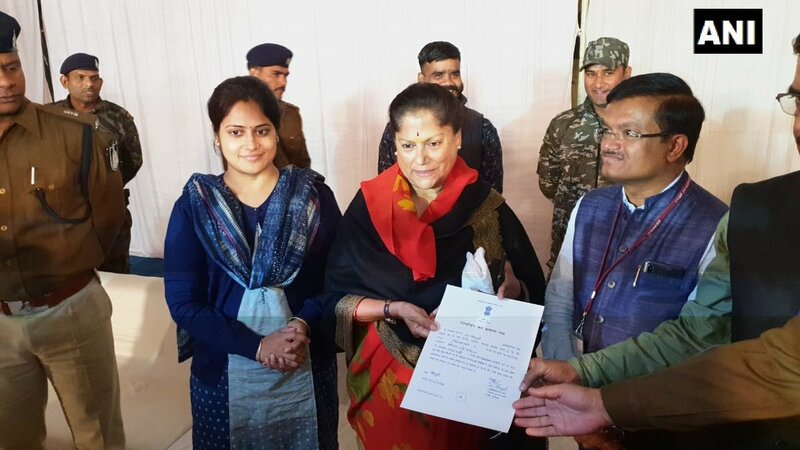 Yashodhara Raje Scindia, a minister in Shivraj Singh Chouhan government, played down the initial trends that showed the Congress on way to form the government in the state. "This is only two hours in. In my area for example, there have been just two rounds. I would like to see trends an hour from now, it's too early to say Madhya Pradesh is lost,"she said. 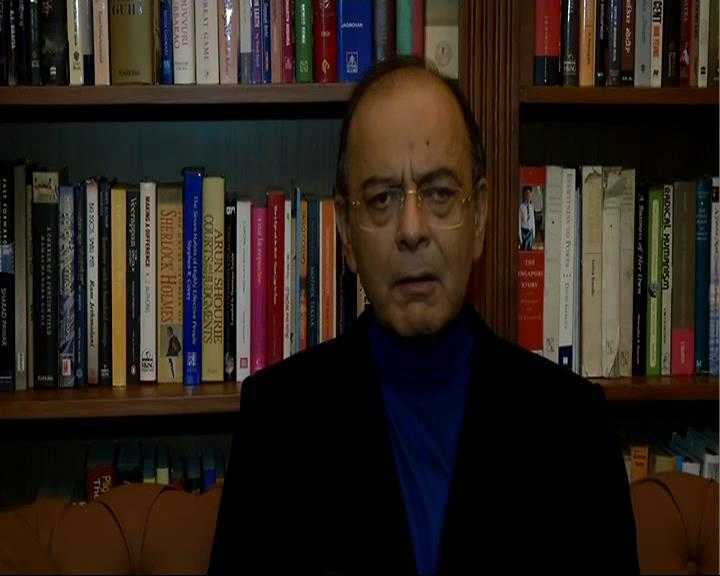 The minister pointed that the party was aware that it will be a close contest with the Congress. We knew it was going to be close because of some announcements that the Congress made in the last week of the election. Those seem to have gained traction","she added. Congress now leading in 111, BJP has now slipped to 95. BSP ahead in five seats. Congress leads in Khargapur, Bundelkhand. Shivraj Chouhan factor keeping the BJP in close fight in Madhya Pradesh, Sagarika Ghose says. The party is trailing the Congress by only 7 seats. Credit should be given to Shivraj Chouhan for still holding fort after 15 years in government, NDTV's Sreenivasan Jain says. BJP is currently leading in 88 seats, early trends show. Sagarika Ghose and Shekhar Gupta agree. Mr Gupta adds that Shivraj Chouhan could play a bigger role in national polls. BJP has a one-third chance of forming government in Madhya Pradesh, while Congress has a two third possibility of coming to power in the state, predicts Yogendra Yadav. BSP has not hurt the Congress much in the northern part of Madhya Pradesh, where it enjoys a significant presence, Yogendra Yadav says. The Congress will win by a clear margin in Madhya Pradesh, party leader Abhishek Singhvi says. "The right time to talk about actual elections are 10:30 to 11 am. But let me stick my neck out and say we will win decisively in Rajasthan, Madhya Pradesh and there might be some kind of close call in Chhattisgarh which will result in us forming the government," he says. 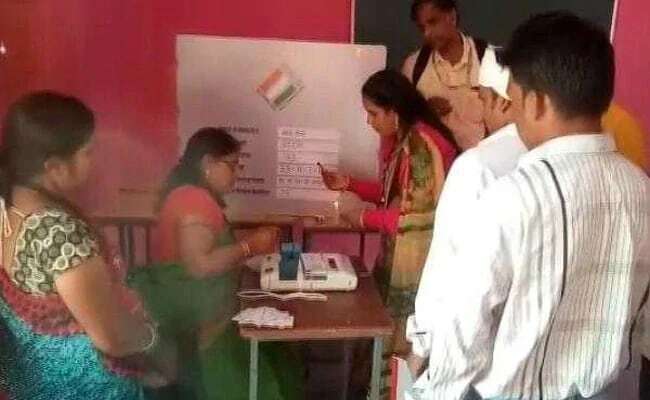 As much as 75 per cent voting was recorded in Madhya Pradesh on the November 28, the day of polling. BJP has taken a comfortably margin over the Congress, early trends show. The BJP is ahead in 41 seats, seven ahead of Congress. The party, however, is down in 16 seats. Congress is confident of winning Madhya Pradesh. 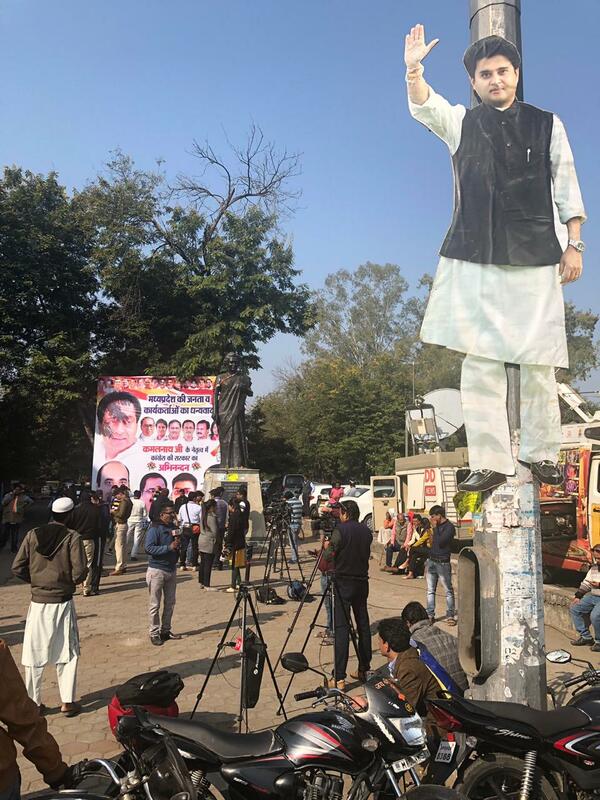 On Monday, posters were set up outside the Congress office in Madhya Pradesh, projecting Kamal Nath as the chief minister. 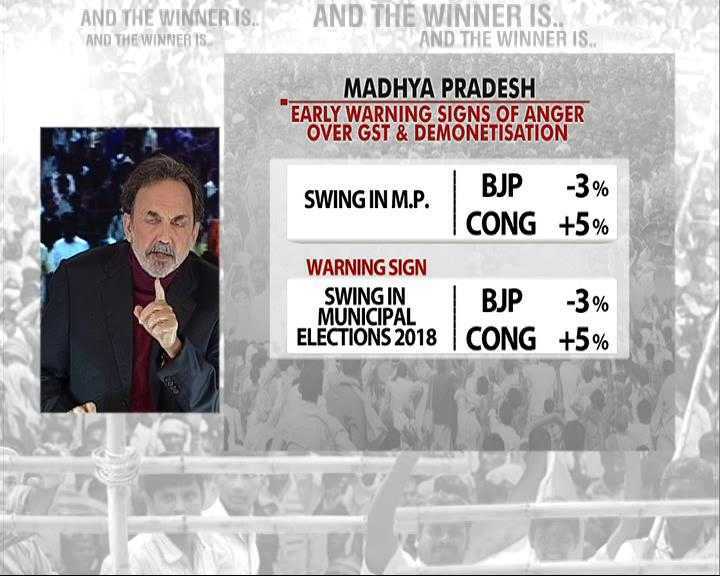 Early trends show a worrying picture for the BJP, says NDTV's Prannoy Roy. While the party is ahead in 18 seats, early trends show the BJP trailing in 10 seats it won in 2013. Early trends show close fight between BJP and Congres. Both the parties are now leading in 11 seats. Shivraj Singh is popular among the farmers, senior journalist Saghrika Ghose tells Dr Prannoy Roy. 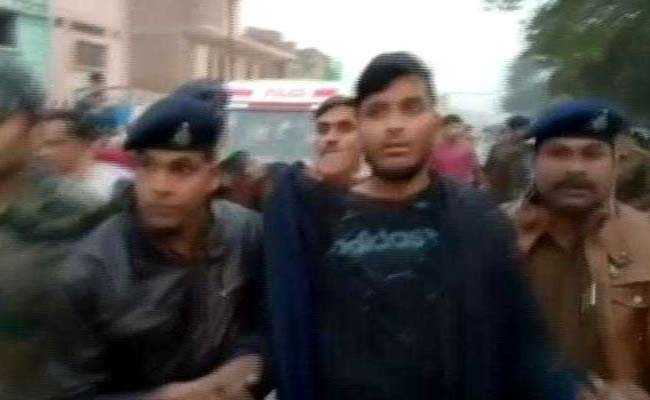 He immediately rushed to Mandsaur after many farmers were killed in police firing," she said. Counting began with the postal ballots at 51 centres across the state. 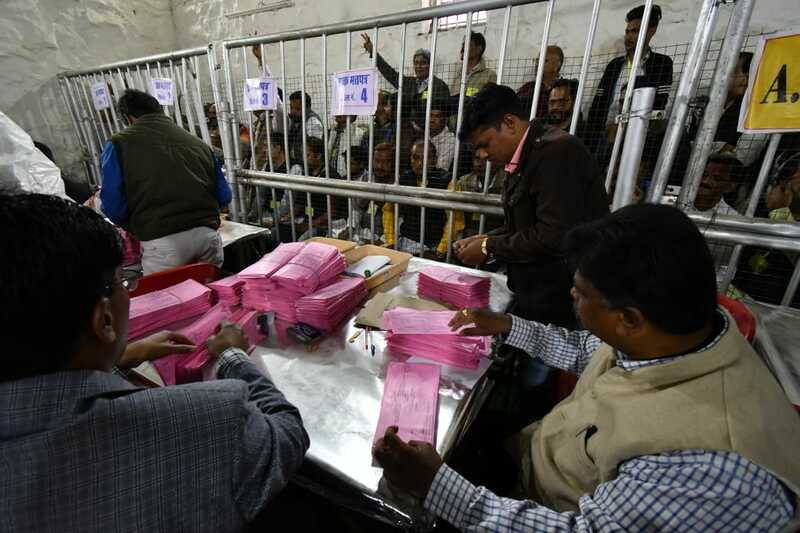 Madhya Pradesh Chief Electoral Officer VL Kantha Rao said 15,000 employees have been drafted for the counting process which will be monitored through 1,200 CCTV cameras installed at 51 centres across the state. The maximum rounds of counting -- 32 in total -- would take place in the Indore-5 assembly segment due to the highest number of booths there. The lowest number of counting rounds (15) would be held in Kotma seat in Anuppur district, he added. 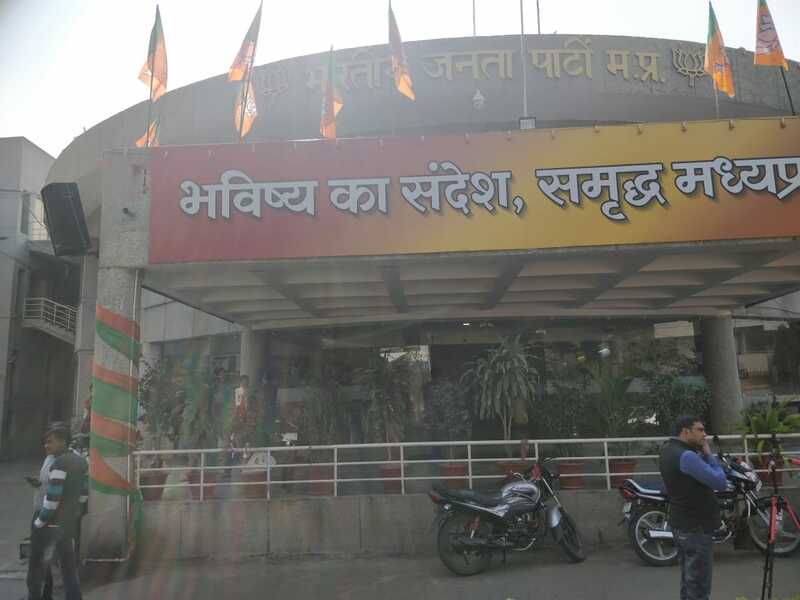 Indore-5 seat is currently held by the BJP while the Congress represents Kotma constituency. The Congress is leading in 5 seats, BJP in four. 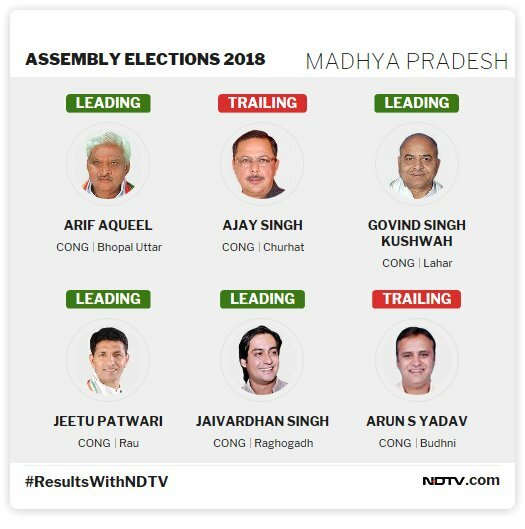 Exit polls have predicted a neck to neck fight in Madhya Pradesh. BJP ahead in three seats. Congress in leading in one seat. Congress leader Jyotiraditya Scindia, who has led the party's campaign in the state, said he is confident that the party will come to power in the state. "Congress will form the government in Madhya Pradesh. This will make clear that we have to fulfill people's promises. Let the results come in first," he said. 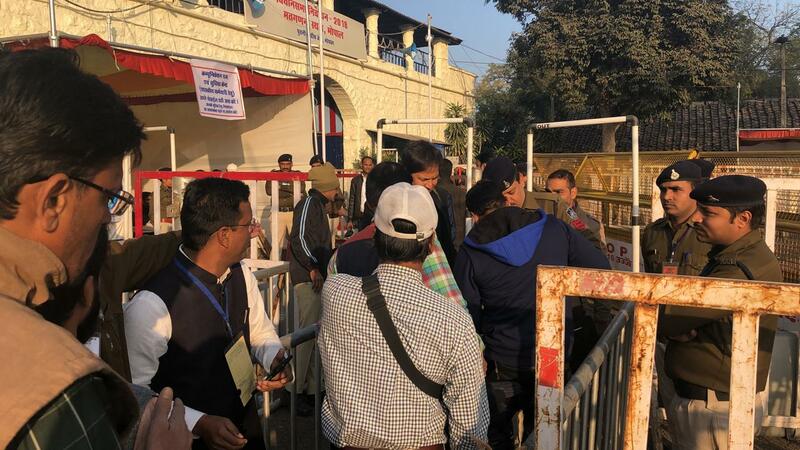 Security officials checking officials outside the Old Bhopal Jail, which has been converted into a counting center. The BJP fielded candidates for all 230 seats while the Congress contested 229, leaving one seat for the Sharad Yadav-led Loktantrik Janata Dal. The Congress has dubbed the Madhya Pradesh polls a "make or break election" and claims it will win 140 seats. The Congress is hoping to stop BJP's fourth term in Madhya Pradesh. 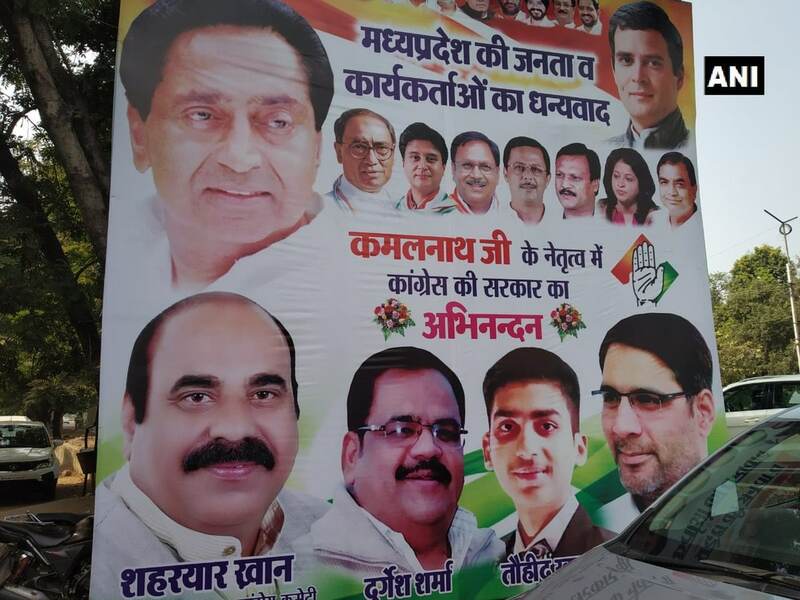 On Monday, posters were seen outside the party office in Madhya Pradesh Congress crediting senior leader Kamal Nath for the party's victory in the state. The counting of votes begins at 8 am. The election results in Madhya Pradesh will be crucial for the ruling BJP.